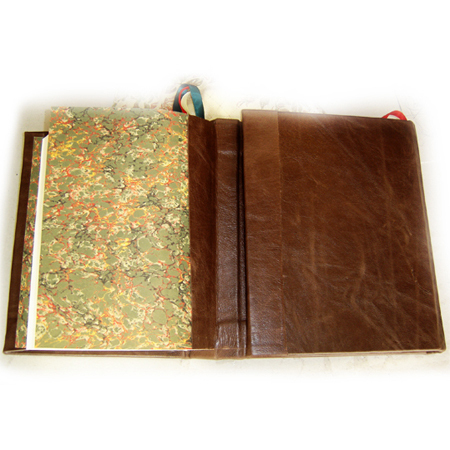 This Book of Shadows has an Original Wicca Witchcraft Book of Shadows Content. Rita Digilova specially wrote this content for Wiccan Witches who practice magical crafts. This Wiccan Book of Shadows filled with Magic Spells, Rituals, Potions, and Incantations. Here you will also find information on Magical Herbs, Crystals, Fairies, Pagan Gods, and Goddesses. From this Magic Book, you will also learn how to correctly cast a Protective Circle, do the Magical Clearing and Cleansing, properly Cast Spells and perform Magic Rituals. These are just a short list of information you will find in this book. And there is much more. This Book has everything a Wiccan Witch or Wizard need to practice Wicca and Witchcraft. This Book will be Handcrafted from Top Quality Materials. And Designed and Made to Last for Generations. 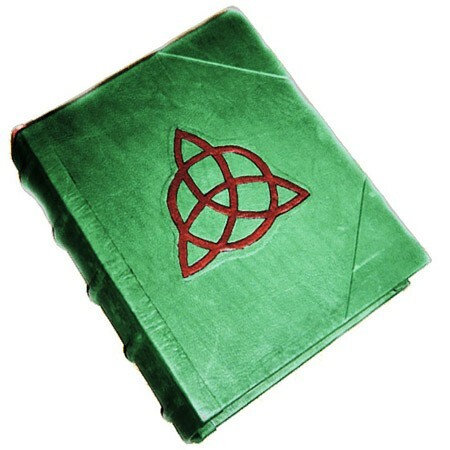 Scroll Down for More Information on this Book of Shadows. 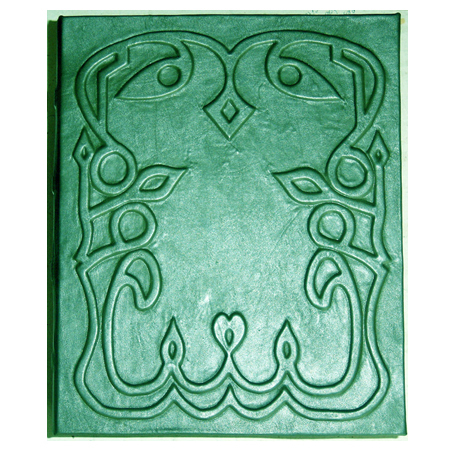 Elvish Grimoire Wiccan Book of Shadows. 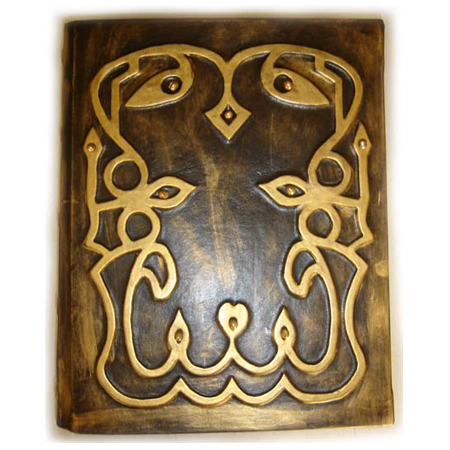 Elvish Grimoire Wiccan Book of Shadows is inspired by the “Lord of the Rings” saga and a Book of Kells. It is adorned with a beautiful cover in a deep shade of green from our exclusive Italian leather collection. 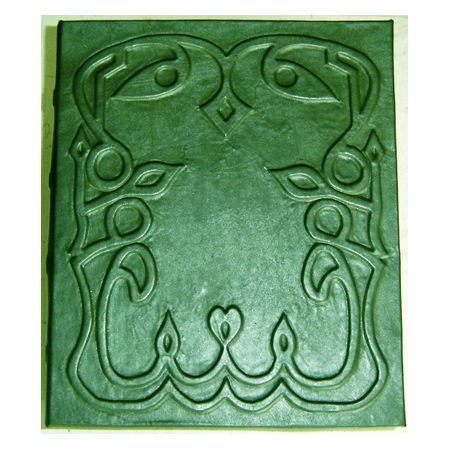 And it has beautifully sculpted Elvish ornaments raised under the leather to create an Ancient Magickal feel of Elves. Below you can view our in-depth descriptions of the content for our Wiccan Book of Shadows. 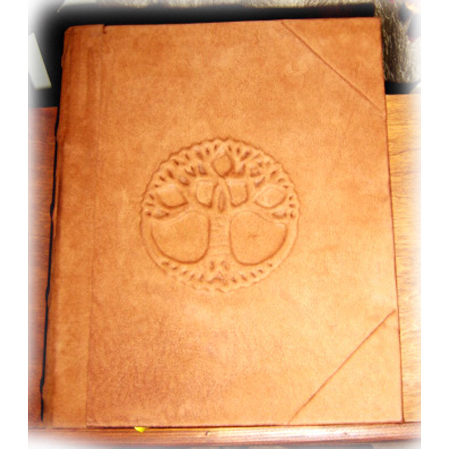 You can also choose your Book of Shadows content based on the tradition and spiritual belief system that you follow. 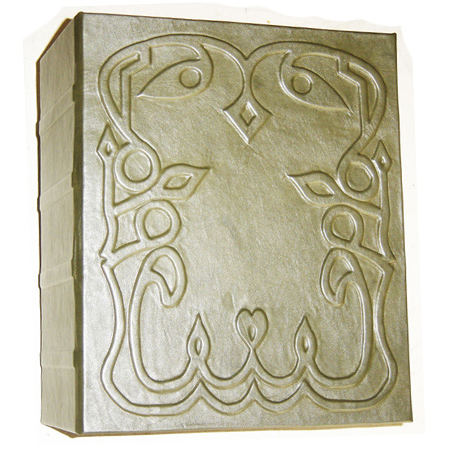 It is LaPulia Book of Shadows’ purpose to bring Real Magic from the World of Ideas into the World of physical form and to do that we infuse each book with the magical energy. By doing that, we make sure this book becomes a powerful Magical Artifact. 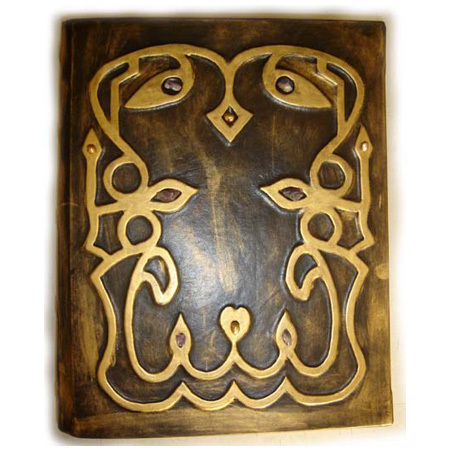 And as a magical artifact, your Book of Shadows or Grimoire will create a strong connection with you. And as a result, it will activate and increase your magical consciousness. Also, your magical Book of Shadows or Grimoire will be crafted following the oldest witchcraft traditions. To accomplish this, we only use brand new, top quality, unused virgin materials. Also, before use, all of the materials undergo a special cleansing ceremony. This service removes all negative energy and prepares them for use in production. And lastly, before Book of Shadows or Grimoire shipped it’s magically blessed and charged. Original Wicca Witchcraft Book of Shadows Content. The Original Wiccan Book of Shadows written for Wiccan Witches who practice the magickal arts. It contains everything that a Witch who follows the religion of Wicca needs to practice magic successfully. This Book of Shadows perfectly balances the religious belief system of Wicca and the traditions of the Magical Arts. 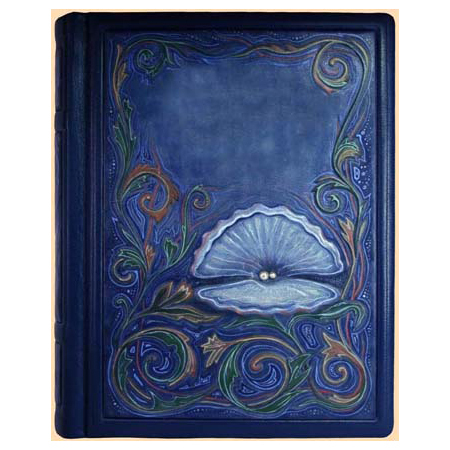 The magical knowledge that preserved within the pages of this Book of Shadows respects the two major Wiccan laws. The first law, “Harm None, Do What You Will.” And the second, “the Law of Three: whatever you send out, comes back three-fold.” If you would like to view the content of the Original Book of Shadows, please click here or on the link above. You Also Might Be Interesting in Traditional Witchcraft Grimoire Book of Shadows Content. 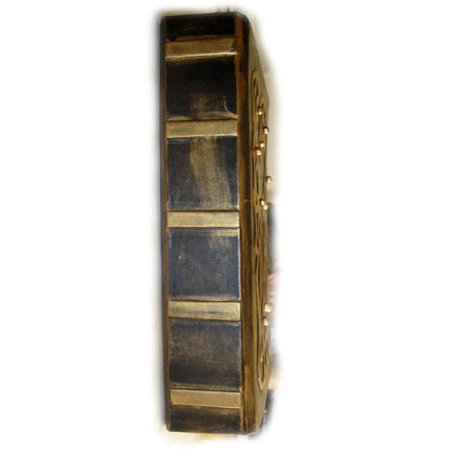 Traditional Witchcraft Grimoire is not limited to one particular tradition. But instead, contains a perfect blend of different magickal and spiritual traditions. This book like an umbrella covers a combination of Old Folk Magic and the Ritual Magick of European practitioners. And because, unlike medieval practitioners, modern witches don’t have the luxury of spending countless hours on a single ritual. The content of this book is highly evolved and adapted to the needs of the modern 21st-century practitioner. The content of this remarkable Traditional Witchcraft Book was chosen based on successful, practical results. These results achieved during many years of magickal practice.